Considering the interesting mix of contestants that the makers have roped in for the eleventh of the show, the viewers are prepared for some of the most explosive and outrageous spats in reality TV history. As much as you’d complain about the boring gameplay of Bigg Boss, majority of the viewers are clearly excited about the new season. Considering the interesting mix of contestants that the makers have roped in for the eleventh of the show, the viewers are prepared for some of the most explosive and outrageous spats in reality TV history. 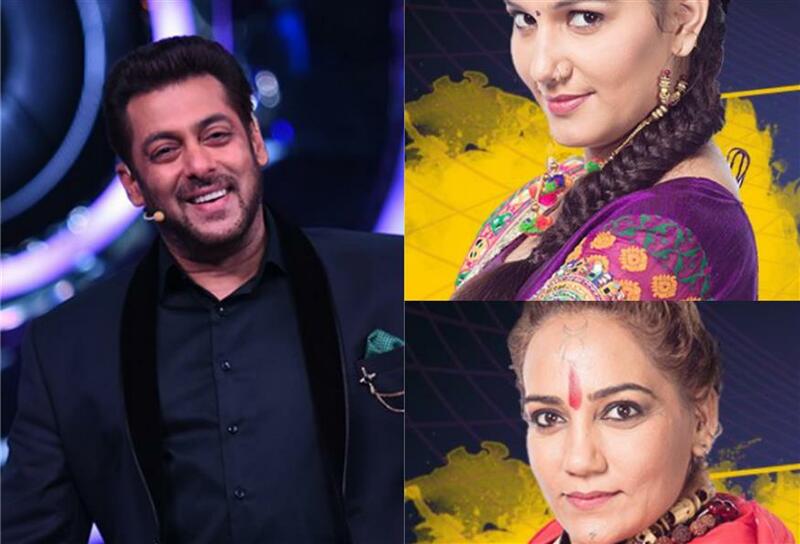 But how impressive was the much awaited premiere of Bigg Boss 11 that was aired on Sunday night? We informed you all a few weeks back that the show would follow padosi as the theme of the current season wherein the contestants would be divided into two groups and made to live as neighbours inside the controversial Bigg Boss house. While the theme is interesting, we now tell you if the Bigg Boss 11 premiere was worth the viewers’ time and attention. Salman Khan who has been giving back to back hits in India (Tubelight being an exception), is the undisputed Sultan of Bollywood. Popular for his hatke roles and his action-packed entertainers, the viewers couldn’t stop hooting for the host as he arrived on the sets of Bigg Boss 11 sets riding a Being Human bicycle. “Badal gaya hai… sab kuch badal gaya. Ab who sab nahi hoga jo pehele hua karta hai,” declared Salman. Interestingly, it wasn’t just meant to suggest the new theme, but also to promote the new sponsors of the show, and his upcoming film Tiger Zinda Hai. Now, isn’t that a super-smart tactic for using the show to get the message out about everything important? From making witty remarks to flashing his wicked smile to his love for random dance moves and making every contestant feel special on the show, like a perfect host he did it all. Bigg Boss 11’s opening night would have been exciting sans Salman’s quirks. As soon as Salman introduced us to the much anticipated padosis of the new Bigg Boss season – former Miss World South Australia Lucinda Nicholas Lucinda Nicholas; aspiring actor Luv Tyagi; Sabyasachi Satpathy and Mehjabi Siddiqui, we knew they would turn out to be extremely tough competitors. Introduced with hard-hitting dialogues like ‘Mai who baagi bahu hoon jissey har jallad saas kaamp uthti hai’ (Mehjabi), Mera devil aur angel wala hisaab hai (Luv), Don’t mess with me. Mujhse bachke rehna (Lucinda) and Teen type ke log mujhe pasand nahi – jhuutey, khudgarz, and showoffs (Sabyasachi Satpathy) – we knew they are expecting to last for a long time, reach their goals and also expect for all the little things to go wrong in the process. Going by the manner in which they interacted with the rest of the contestants, they appeared calm, cool, and collected. Similarly, the 40-year-old occultist and dancer Sapna Choudhry appeared confident too. Hence, as Salman’s remark “Bigg Boss Season 11 padosi aa rahe hain bajane 12” was needed to whip up competitive spirit by padosis to win at all costs. Bigg Boss 11's Annoying Contestants: Best TRP Strategy? Remember Priyanka Jagga – the most annoying contestant of Bigg Boss 10 who was asked to leave the show? Well, the current season also have a few faces which are expected to leave many miffed. Akash Dadlani, the self-proclaimed rapper and Puneesh Sharma are expected to create a lot of drama on the show. Don’t be surprised if Puneesh gets on your nerves by passing insensitive comments, maligning others, getting into ugly spats. Just hope he doesn’t turn out to be as uncouth as Swami Om. But isn't this needed to grab viewers' attention and ensure they sit glued to the TV screens? Among all the celebrities who have been roped in for the show, actor Hiten Tejwani appeared mature, balanced and sorted. While Hina Khan managed to wow many with her flawless musical act, Angoori Bhabhi aka Shilpa Shinde showed no qualms in letting everyone know how Vikas Gupta Maligned her image. There was something genuine about the difficulties she faced. While Priyank Sharma is the only good-looking single male contestant, we hope he does a lot more than flashing his abs. Agreed, celebrities know their fanbase will help them sustain their position, and won't do just about anything to to get linked with controversies and shocking moments inside the house. But we hope, they give a tough fight to padosis.